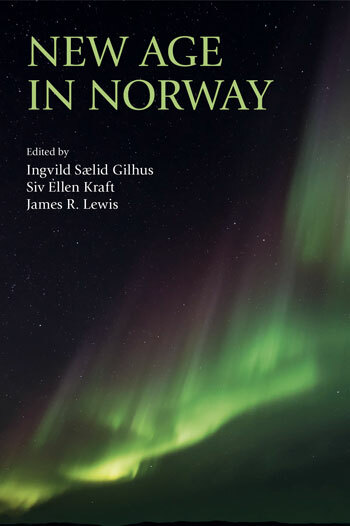 This volume investigates “alternative” spiritualities that increasingly cater for the mainstream within the secularized society of Norway, making Norwegian-based research available to international scholarship. It looks at New Age both in a restricted (sensu stricto) and a wide sense (sensu lato), focusing mainly on the period from the mid 1990s and onwards, with a particular emphasis on developments after the turn of the century. Few, if any, of the ideas and practices discussed in this book are homegrown or uniquely Norwegian, but local soil and climate still matters, as habitats for particular growths and developments. Globalizing currents are here shaped and molded by local religious history and contemporary religio-political systems, along with random incidences, such as the setting up of an angel-business by the princess Märtha Louise. The position of Lutheran Protestantism as “national religion” particularly impacts on the development and perception of religious competitors. Religion in Norway has for the past 1000 years been more or less synonymous with Lutheran Protestantism. The Norwegian state church was formally replaced by The Norwegian Church in 2012, and has – like Christian churches elsewhere in Europe – experienced decline on important parameters like Sunday service attendance. However, membership numbers and support of main rituals are still high: 75 percent were members of the Church of Norway in January 2014 (www.kirken.no); statistics from 2013 show that 92 percent of all burials were performed by the church, 61 percent of babies born were baptized and 64 percent of youngsters went through confirmation. New Age belongs to a wave of movements that particularly since the 1970s have challenged Christianity´s monopoly-like control over the field of Norwegian religion. The fluid nature of New Age-spiritualities, moreover, makes for a particularly challenging competitor. Unlike immigrant religions like Islam, New Age lack clear cut boundaries, authorities, congregations and belief systems and are accordingly difficult to define and relate to. This chapter starts with an overview of relevant research, including a brief history of the relationship between the Norwegian church, Christianity and New Age. The remaining part of the chapter will focus on 1) church strategies in regard to New Age-spiritualities, 2) bridge building and boundary protection on the part of individuals and organizations, 3) the establishment of contact zones, in the form of intersecting issues, interests and concerns. Margrethe Løøv is a Ph.D. fellow at the Department of Archaeology, History, Cultural Studies and Religion at the University of Bergen. She holds a MA in Religious Studies from the University of Oslo and has previously studied in Hyderabad, Heidelberg and Montpellier. She has also been involved in a book project on the preface to the mission among the Sami people in Norway. Her research interests include the New Age movement and NRMs in general, quantitative approaches in the study of religion, the history of missions and the adaptation of Hindu/Buddhist meditation in the West. The Norwegian New Age milieu has been marked by a quite extraordinary feature; a national umbrella organisation for alternative spirituality, therapies and lifestyles. Founded in 1992, VisionWorks (formerly Alternativt Nettverk) seeks to coordinate and promote actors within the ‘alternative’ field by providing common platforms for interaction. The organisation organises alternative fairs in Norway’s largest cities, issues the magazine Visjon, arranges lectures and runs a web site with news on activities and press coverage of alternative topics. This article will provide an outline of VisionWorks’ activities, and discuss the organisation’s role within the Norwegian New Age milieu. It will be argued that Alternativt Nettverk was instrumental in establishing a sense of communality among producers and users of New Age thought, services and goods in Norway. The organisation also strongly contributed to creating a public awareness of the existence of such phenomena in Norway. However, its heyday as the main agenda setter might be coming to an end. As the ‘alternative’ is becoming more widespread, new and competing network-structures have emerged. New media have reduced the importance of a centralised information source. Moreover, the past few years have seen fierce debates over VisionWorks’ regulation of its market. Although it probably will remain the largest and most influential network for New Age in Norway, VisionWorks is becoming one among many organising forces in a growing and increasingly diverse alternative landscape. The article will address the most important dynamics at play in this process. This chapter has two, connected goals: first, to provide an overview of the presence of New Age in Norwegian news- and popular media, focusing on how much in which genres, and how it is represented in these different genres; second, to discuss results in regard to the so-called mediatization of religion thesis, forwarded by the Danish media scholar Stig Hjarvard and others, and thereby to explore the potential and limitations of this perspective in regard to New Age spiritualities. The mediatization of religion thesis deserves the attention granted to it, and has resulted in several useful critical appraisals. However, its potential regarding New Age spiritualities would appear to be limited, and such limitations – this chapter argues – impacts on the broader scenarios depicted. Particular emphasis will be placed on “banal religion”, described by Hjarvard as media-made representations, produced according to the logics of the media and at the same time anchored in “primal religiosity”. Against this claim, it is argued that New Age-logics intersect and interact with media logic in this field. We are dealing with neither “raw materials” nor the random mixing and matching of religious elements from anywhere and everywhere. Rather, banal religion seem to a large extent to be based on established New Age-recipes, and to be cooked New Age style. Torunn Selberg, folklorist, is professor in Cultural Studies, department of Archaeology, History, Cultural Studies and Religion, University of Bergen. Her research interests revolve around folk religion, magic, ritualization, tourism, and cultural landscapes. Selberg is a prominent scholar of new religions in contemporary society and has written numerous chronicles, articles and books focusing on contemporary religious phenomena, pilgrimage, festivals and place construction. Travelling and a sacred geography have a large place within alternative spirituality. Holy places told to contain old and superior wisdoms is of importance to the seeking religious person. Of interest is however that spiritual places and seeking also has become part of more mainstream tourism. ”Aller travel” – a traditional tourism company offer – among trips to ”The heart of Toscana”, Football weekend in London”, trips to the Christian city of Rome, and a tour to Copenhagen where the part-takers can learn how to use their 6th sense; taught by a spiritual specialist. Tourism is the world’s largest industry and it is becoming more and more segmented. New ideas and new narratives must be tied to tourist destinations. In this paper I will investigate how spiritual tourism is becoming an aspect also with tourism in general, taking as a point of departure that ideas from alternative spirituality get an increasing place in the mainstream culture, and that the borders between the sacred and profane becomes steadily more vague. The idea is to investigate how this is being formed and expressed within contemporary tourism. New Religious movements (NRM) represent something rather new in Norwegian curricula and textbooks for RE. In curricula there seems to be some difficulties in where to place NRM. In secondary school, teaching goals about NRM are placed under the main subject area labeled Religious diversity. The teaching goals on NRM are rather open in some sense, but at the same time related to nature and indigenous religions (“naturreligiøs praksis, herunder urfolks naturreligion”). This means that the teachers and textbook authors have to choose the appropriate examples and in that case offer an understanding of the formulations in the curriculum. In upper-secondary, teaching goals are equally vague. It reads that students should be able to “discuss and elaborate on different forms of searching for religions in our time.” This teaching goal does not necessarily have to be related to NRM. Nevertheless, this is the only teaching goal which in some sense point to NRM. The chapter will in three parts give insight in how NRM are dealt with in Norwegian RE: i) NRM in curricula for secondary and upper-secondary school, ii) NRM in textbooks for secondary and upper-secondary school, and iii) a discussion on how NRM are challenging well-established ways of teaching religion in RE. Anne Kalvig is Professor of Religious Studies at University of Stavanger, Norway. Her research interests are alternative therapy, alternative medicine, new religiousity, spiritualism, shamanism, popular culture, gender and mediatization of religion. She is author of several articles, chapters and monographs, including The Rise of Contemporary Spiritualism (2016), and has co-edited the anthology Living Religion (2015, in Norwegian). She is chair of Finyar, The Nordic Association for Information and Research on New Religious Movements and Alternative Spirituality. Alternative medicine and alternative therapy (CAM) is a vital part of New Age or alternative spirituality, in Norway as well as elsewhere. However, those health-oriented, spiritual practices conventionally labelled alternative medicine might be analyzed from a wide range of different perspectives. I provide a sketchy overview of the phenomenon of alternative medicine and therapy in Norway and seek to give a preliminary answer to what it means to consider such practices as religion. I use the spatial model of religion outlined by Smith (2003) and further adapted by Gilhus (2013) for the purpose of categorizing and gaining a certain overview of CAM in Norway “as” religion/resembling religion or religious or spiritual practices. This categorization is not meant to be conclusive; rather, it is more of a model “to think with” and part of a further discussion of the relationship between alternative medicine and religion towards the end of the chapter. Angels are travelling light. They are cultural constructions that are continually reimagined and they seldom bring with them more luggage than that they can slip through the masks of the cultural net. Appearing in a secular context, their religious origin contributes to make them attractive. When angels are used to promote Christmas sales, for instance, they tap into the Season’s spirit of love and willingness to give, which have strong Christian connotations. Versatility belongs to the modus operandi of angels and it works in many directions – geographically, historically, linguistically and across the religious/secular divide. Versatility contributes to make these cultural constructs useful and successful, and angels are part of several discourses and spaces. In this chapter we will identify and map some of them as they are developing in contemporary Norway. We use the spatial model of Jonathan Z. Smith of “religion here, there and anywhere” and adds a fourth space, which is “religion everywhere”. The chapter begins with identifying the spaces of angels in Norway in the 20th century, especially church, school and home (there and here). It discusses their migration into new spaces and especially how New Age entrepreneurs use angels (anywhere) and how they appear in various media (everywhere). Focus is on the connections between the different spaces, on angels as messengers and companions, and on the contestations they are part of when the Church tries both to struggle against and to adapt itself to New Age spirituality. Asbjørn Dyrendal is Professor in the Department of Philosophy and Religious Studies at the Norwegian University of Science and Technology. He is the co-editor of the International Journal for the Study of New Religions. During the early 2000’s, Charlotte Ward and David Voas recently argued, a surprising phenomeon occured: the fusion of New Age spirituality and conspiracy culture. Contrary to Ward and Voas, this paper takes as its starting point that esoteric discourses on secrecy and concealment have always also encompassed the attribution of both to hidden actors for evil, fulfilling a function of theodicy. But during the period in question, we see the rise (and partial fall) of a scene within the New Age milieu where conspiracy discourses took center stage. The international phenomenon was, for a time, also prominent in Norway. In this paper, I argue that a highly ‘conspiritual phase’ in Norwegian New Age should be read as related to heightened millennial expectations, taking the Norwegian group blog Nyhetsspeilet as the primary material. Communication with spirits of the deceased has been one of the major themes of the New Age movement. It was an important current prior to and in the days of the Theosophical Society and similar innovations in the nineteenth century, and has been a lasting component of and impulse within modern New Age and alternative spirituality. In this chapter, I present spiritualism in contemporary Norway, offering an overview over a wide field that has not received much scholarly attention. I outline organizations with spiritualist content, as well as provide examples of actors and practices of spiritualism within a more loosely organized, market-oriented field. I thus consider how spiritualism is lived out in Norway today, and how the variegated forms, actors and organizations influence each other and contribute to a varied, yet identifiable, thematic field of transgressive communication – with the dead and with other entities in “the spirit world”. In my concluding remarks, I explore whether and how spiritualism in Norway today might be seen as religion here, there, anywhere and everywhere. Trude Fonneland is currently professor in the Department of Culture studies at Tromsø Museum, the University of Tromsø—The Artic University of Norway. Her research interests revolve around contemporary religion in society, particularly Sami shamanism, tourism, and popular culture. She is the author of several scholarly articles on the subject. Recent publications include Nordic Neoshamanisms (2015) (co-edited with Siv Ellen Kraft and James Lewis), “Approval of the Shamanistic Association: A Local Norwegian Construct with Trans-Local Dynamics” (In Nordic New Religions), “Spiritual Entrepreneurship in the High North: The Case of Polmakmoen Guesthouse and the Pilgrimage ‘the Seven Coffee Stops’”(International Journal for the Study of New Religions 2014) and “Spiritual Entrepreneurship: Tourism, Spirituality and Politics” (Temenos 2012). ‘Shamanism is a 30,000-year-old spiritual practice where one uses trance techniques to communicate with the forces of nature and the world of the spirits’. This is how shamanism is presented on Shamanistic Association’s homepage, an association which was recognized as a distinct religious community in Norway in 2012. This means that, according to the laws regulating religious bodies in Norway, they may perform such religious ceremonies as baptisms, conformations, weddings and funerals, and, additionally, gain financial support from the membership. In Norway neo-shamanism has been part of the religious landscape since the early 1980s and from the late 1990s professional neo-shamans like Ailo Gaup and Eirik Myrhaug have been depicted as representatives of an ancient Sami shamanic tradition. The Norwegian New Age-scene has also increasingly been filled with Sami shamans, symbols and traditions, along with a new focus on local- and place specific characteristics unique to the Northern region. A central theme of this paper is to highlight the developments within the neo-shamanistic environment in Norway – showing how transnational religious ideas and practices take on local distinguishing features to acquire meaning and define community. It describes the dynamics of a cultural creation whereby abstract concepts and ideas find moorings in a local community and in participants’ reality here and now – gradually generating a distinct cultural field, the field of northern shamanism. This chapter aims to present Indian inspiration in the New Age field in Norway, by example of the Art of Living Foundation (AoL), an Indian-oriented New Religious Movement (INRM). Based on survey data and supporting literature two aspects will be in focus, namely indigenization processes and gender/ health relations. Indigenization processes occur as a movement expands to a new country, away from its original cultural context. This chapter will examine some differences between the AoL organizations and AoL practitioners in Norway and India, both through observational and survey data, and highlight some aspects of AoL that may be particular in a Norwegian (or Western European) environment. Some Indian-inspired practices (like asana yoga) already are, or will soon be, an integral part of mainstream culture in Norway, while others (like guru devotion) still are quite ‘un-Norwegian’, even in AoL. AoL demographic data, although limited, may shed some light on who practitioners are, the importance of ‘Indianness’ to them, and the indigenization of Indian movements as they surface in a new context. However, the data also tells us about aspects of gender and health among the practitioners. A majority of AoL practitioners in Norway is female, as is the trend within the wider New Age-field. Recent scholarship indicates a correlation between gender and health-related issues, and NRM ‘conversion’ and practice. The Norwegian AoL survey data supports this correlation. The main findings of this chapter is that, one, there is indigenization processes at play in AoL Norway. Second, the engagement of (especially) the female majority in AoL seems to rely on a strong movement towards the improvement of physical and mental (and spiritual?) health. Oscar-Torjus Utaaker is currently a graduate student in Religious Studies at the University of Tromsø (Norway). Prior to the cult controversy of the seventies, sociologists of religion reserved the term ‘cult’ for ephemeral spiritual groups that formed, attracted a following, and then declined and disappeared into what Colin Campbell termed the ‘cultic milieu’ (which would later be referred to as the ‘New Age’). In his analysis of this milieu, Campbell carried out what was, in effect, a Copernican revolution by shifting the ground of analysis from individual new religious movements (NRMs) to the larger spiritual subculture out of which these groups emerged. The cult controversy, however, interrupted this revolution by prompting sociologists to refocus on the more solid, sect-like groups that were at the center of social conflict. In the present chapter, we recover Campbell’s insight, both by refocusing on the larger alternative spiritual milieu as well as by analyzing some of the dynamic patterns manifested by members of new religions. Additionally, while participants in the New Age milieu are constantly shifting their involvements, there is a deep structure of values and self-understandings held by such seekers that remains stable and that we will describe and analyze. This discussion will in turn provide a backdrop for an analysis of survey data gathered from members of three different NRMs regarding their diverse, multiple spiritual involvements, both previous and concurrent. Despite the apparent external solidity of such groups, their participants tend to ebb and flow, indicating that, for many of their members, these NRMs are but one step in a much longer process of seekership. Liselotte Frisk has been a professor in Religious Studies at Dalarna University, Sweden, since 2006. She presented a doctoral dissertation on new religious movements in 1993 at Åbo Akademi, Finland, and after that worked as a lecturer at Umeå University in Sweden for a few years. In 1999 she moved to Dalarna University where she created a profile of studying new religious movements within Religious Studies. Research projects include two projects about New Age in the 1990s, and, later, a 3-year project about what happened to the new religious movements from the 1960s and 70s over the decades, funded by Riksbankens Jubileumsfond. Another research project, undertaken together with Peter Åkerbäck, Stockholm University, dealt with a local mapping of the new spirituality in Dalarna (2008-2011), funded by Vetenskapsrådet. A current research project, also funded by Vetenskapsrådet, deals with children in minority religions (2012-2015). 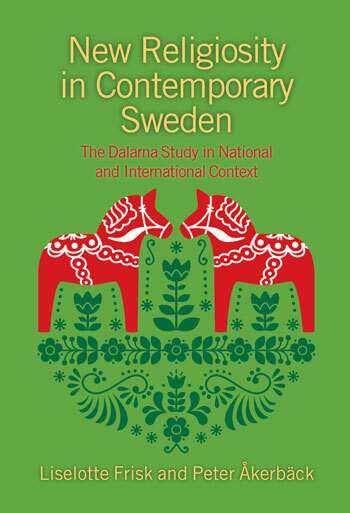 All research projects have resulted in books and articles in Swedish as well as in English. Liselotte Frisk has been co-editor of the International Journal for the Study of New Religions (2010-2013), and is currently co-editor of Aura, a Nordic journal publishing academic articles about new religious movements. She was the director of International Society for the Study of New Religions for four years (2010-2013), and is now the vice director of FINYAR, the Nordic society for the academic study of new religions. Other research interests include new religions in Japan. The volume also includes as a conclusion a contribution by the two leading scholars on New Age Spiritualities in Sweden and Denmark, Liselotte Frisk and Mikael Rothstein, who discusses Norwegian New Age Spiritualities in relation to the larger Scandinavia New Age scene. It is likely that our book will be a first-choice text in religious studies and theology courses in Norway, and probably in Scandinavia more generally. Mikael Rothstein is Associate Professor of Comparative Religion, University of Southern Denmark (SDU), Odense and Visiting Professor at Vytautas Magnus University, Kaunas, Lithuania. Some of the chapters investigate themes that at first glance seem typically Norwegian, such as the relation to the Lutheran Church, the angel-school of the royal Princess Märtha Louise, Sami-Shamanism, etc. This does not, how¬ever, imply that these contributions do not offer insights and reflections that could be of interest for a wider international audience. Those who seek will find. Where this work really shines is in its individual contributions, which are well-argued, thoughtful, and enlightening about their subject matter. The chapters on conspiracy theories and angels in particular stand out as novel elaborations of topics that are common among New Age circles but as yet have drawn scant attention academically. 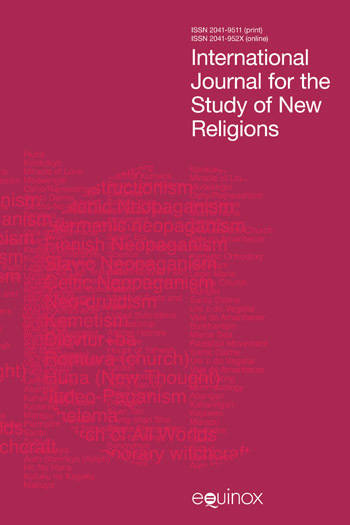 This book will be of interest and use to scholars of religion, particularly those specializing in New Age or alternative religions, and also to a general readership curious about what religion is in a contemporary, secularized society.